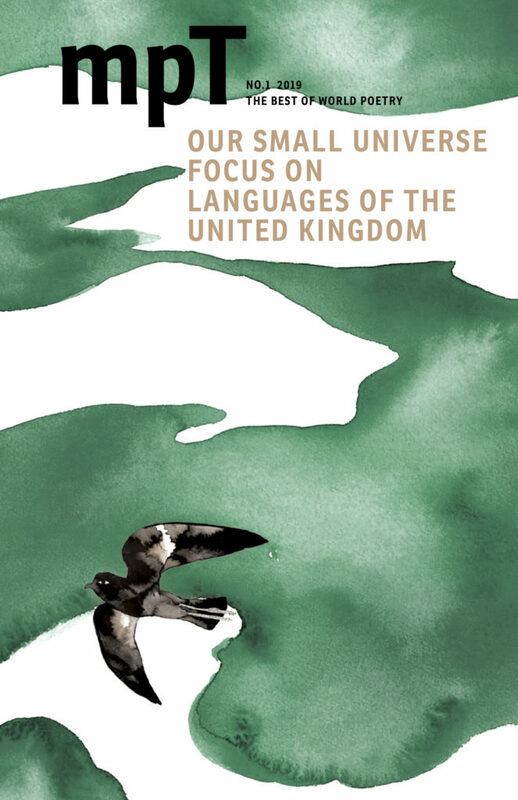 MPT’s spring issue ‘Our Small Universe’ focuses on the many languages of the United Kingdom – from Romani to Welsh; Shetlandic to BSL; Turkish to Ulster Scots – and features Owen Sheers, Zoe Brigley, Liz Berry, MacGillivray, David Morley, Al-Saddiq Al-Raddi and Matthew Hollis. Cyril Jones and Philip Gross collaborate using the Welsh ‘englyn’ form, and Sophie Herxheimer writes in her Grandmother’s ‘Inklisch’. Also: an introduction to Rohingya poetry, Zeina Hashem Beck’s bilingual form, the Duet, and a new translation of Konstanty Ildefons Gałczyński’s major modernist poem ‘A Trip to Świder’ by Renata Senktas and Christopher Reid. All this and more in the groundbreaking magazine dedicated to poetry in translation: for the best in world poetry read MPT.